Known As a Member of THE ALLMAN BROTHERS, Singer-Songwriter-Guitarist, WARREN HAYNES Chats With All Access About His Solo Records And His Favorite Musical Memories! 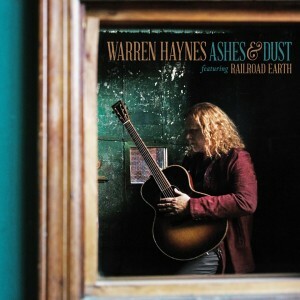 On July 24th, GRAMMY award-winning vocalist-songwriter and revered guitarist Warren Haynes released his latest solo studio album featuring Railroad Earth entitled “Ashes and Dust” via Concord Records. The album, only the third that Haynes has ever released under his own name, is one of his most gorgeous, musically rich and personal albums to date, shining an entirely new light on Haynes’ enduring creative spirit. Immediately and clearly different from his usual style, the album encompasses beautiful acoustic arrangements, a rootsy, Americana soundscape, folk-based songwriting and soulful, honeyed vocals. It also showcases new dimensions of Haynes as a guitarist, seeing him dive deeper into acoustic guitar and playing more slide guitar than he has played in a long time. From his home in Nashville, Haynes took some time to speak with All Access about this latest album and what have been some of his favorite memories so far. You are considered “the hardest working man in rock and roll” today? Why do you think that is? I guess because I’m lucky enough to pursue a lot of different aspects of what I love, as far as music is concerned. I tend to explore a lot of different directions and influences and get involved with a lot of different projects. On my end, it’s because I feel lucky to have the opportunity to mostly work with so many great people-artists and bands and different projects that its hard to say no to something that you really love. Growing up, did you always want to be a musician? Did you ever think of doing something else? Well, it’s what I’ve always done. People often ask me what would I have done if I weren’t a musician and maybe some sort of a writer or a teacher maybe. I don’t know though. I’ve never had to make that decision. I think I probably wouldn’t have been happy unless it was pursuing some sort of creative along those lines. Can you remember your first musical moment? I remember a few. One was hearing Black Gospel music on the radio on Sunday mornings in North Carolina. It really made the hair on my arms stand up. I was probably 5 or 6. Another one was hearing probably around the same time hearing “Sounds of Silence” by Simon and Garfunkel. I had a similar sort of feeling. And after that, hearing James Brown but that was a little later. You just released your solo album “Ashes & Dust”. How does this collection show a different side of you musically? Well, it’s the first record that I have made that portrays this sort of singer-songwriter side of me. Although I play a lot of electric guitar on this record, there’s also a lot of acoustic instrumentation too-the fiddle and mandolin and banjo and upright bass and acoustic guitar. It all represents this new direction and these songs don’t necessarily fit into being an Allman Brothers song or a Gov’t Mule kind of song. Maybe a few of them here and there would have worked in those environments. But this is the first time that I’ve recorded a whole collection of songs that all fit together that all were coming from a folk-influenced direction. It’s been in the works for at least 7 years but I’ve probably more songs in this direction than any other. I wrote maybe one of those songs on this album 30 years ago. Why do you think it took so long to finally take that music and put it on an album? Some of these songs are extremely personal to me. Some of them are about real situations and real people and real relationships that I always wanted to record but needed the right reason and I think this is the first time that I felt I had a reason. Now in a lot of these songs, you are telling stories. Why do you think that is something you excel at right now. What makes a great story for a song? Well, I’ve always been influenced by songs and songwriters that are telling stories and always had a real affinity for that king of songwriting and consequently I’ve written lots of songs like that through the years. There’s just something about story-songs that have some in the case of a great song that have a sense of timelessness and that they can exist in any era or any decade and move the listener. Hopefully, the music and lyrics work together in a way that transcends both. Then something happens that can kind of make the listener kind of lose themselves in the story. Who are some of your favorite storytellers out there today? I always gotta go to Bob Dylan who even today who is writing amazing songs which is miraculous. I don’t think there’s anybody that’s written the amazing songs that Dylan has. We talked about Simon and Garfunkel earlier-I think Paul Simon has written some amazing songs. Joni Mitchell too. There are a lot of, even in the rock world, people like Roger Waters and Tom Waites and Neil Young and Elvis Costello are some of my favorite songwriters. Yet, I grew up learning how to write songs in the early 70’s and there was a lot of great stuff like James Taylor and Jackson Browne that was post-diluted and a little more mainstream but still not compared to what we consider mainstream today and they were writing amazing songs that you look back now and hear those songs and they are as strong as they ever were. Speaking of amazing artists, you worked with a lot of incredible artists on “Ashes & Dust”. How did you get to work with those people? How did you go about selecting who to work with? Well, let’s start with Railroad Earth. We worked together 6 or 7 years ago. 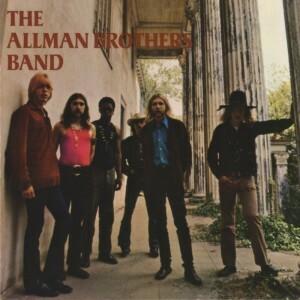 They opened for the Allman Brothers in Red Rocks in Colorado and I really enjoyed their set. We found ourselves on stage together and we really clicked and had a nice chemistry. They have a nice chemistry of their own too. So I invited them to a couple of my solo performances where I was just playing solo acoustic. I had them join me for a few numbers and it really was kind of magic. So I thought maybe this was the way to make this next record. Then I asked Oteil Burbridge and Marc Quinones from The Allman Brothers to join me on the song “Spots of Time”. I asked Grace Potter on “Gold Dust Woman”. I asked Mickey Raphael from Willie Nelson’s band to play harmonica on “Wanderlust” along with Shawn Colvin to sing harmony. It was an honor to have all these folks be part of it and help bring this to a reality. I’m a big fan of Grace Potter! How did you first meet her? Yeah, Grace is great. We have a nice chemistry together and we’ve sung on stage together in the past and we’ve even sung this song on stage before but never recorded it. What was it like performing at the Grand Ole Opry last month? A little bit intimidating. You know, there is a lot of history there, a lot of amazing artists and singers through the years have graced that stage. I’m coming from a little different direction. I never thought there would be a reason for me to be a part of that. With this record, I guess there is at least some sort of reason but I think what I was thinking about the most was my dad who was the most, the hugest Grand Ole Opry fan in the world and how hallow ground that is for him going decades back. What other venues have you enjoyed performing at? I think Red Rocks is the coolest venue in the country. The Gorge is a gorgeous place. Of course, I love playing at the Beacon Theatre which I’ve played probably 250 times. Really any place that sounds good and has a great audience, I’m all for. How do you think your time in the Allman Brothers has prepared you for being a solo artist now? 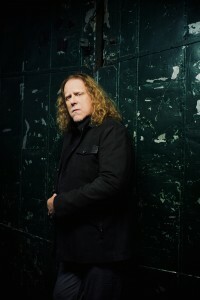 You know I was kind of juggling being a solo artist, being in the Allman Brothers and being a member of Government Mule and doing all these other projects all simultaneously. Of course being in a legendary band like the Allman Brothers is an amazing experience that translates to a learning process automatically and organically I guess. Being part of such an institution like that, I inherited an audience that expects a certain type of music and a certain quality of music. 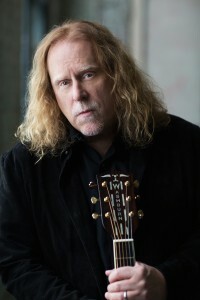 I want and I hope that this new music appeal to fans of Allman Brothers and fans of mine and Gov’t Mule fans. But this music is different then anything that I have ever done in the past so it may be a bit of a surprise to some people. But I think most of our audiences are open-minded enough and also knows to expect anything from me. So far, what do you consider your biggest accomplishments? I’ve been so lucky that there has been quite a few. Winning 2 Grammy, being nominated 9 times, playing Woodstock in ‘94 (I wasn’t old enough to play the original one), the Allman Brothers being inducted into the Rock & Roll Hall of Fame. I wrote a song for Garth Brooks that was number for a really long time and that was quite an honor. Again, I just feel very fortunate to have had the opportunities and experiences that I have had. At the end of the end of the day, we all want to hear music that inspires us and gives off positive messages. What do you hope listeners take away from your music? Well, I’ve always strived to make music that I would hopefully be inspired by if I were to hear it from someone else. That’s a tall order because I’ve been a student of music and a fan of music for a long long time and I tend to gravitate toward artists and songwriters and bands and music that has some sort of timeless quality and creates something beyond the mainstream that can stir something inside your soul. So, that’s what I’m looking for as a listener and hoping to create as an artist.